Last week, pupils enjoyed taking part in a variety of activities linked to maths. 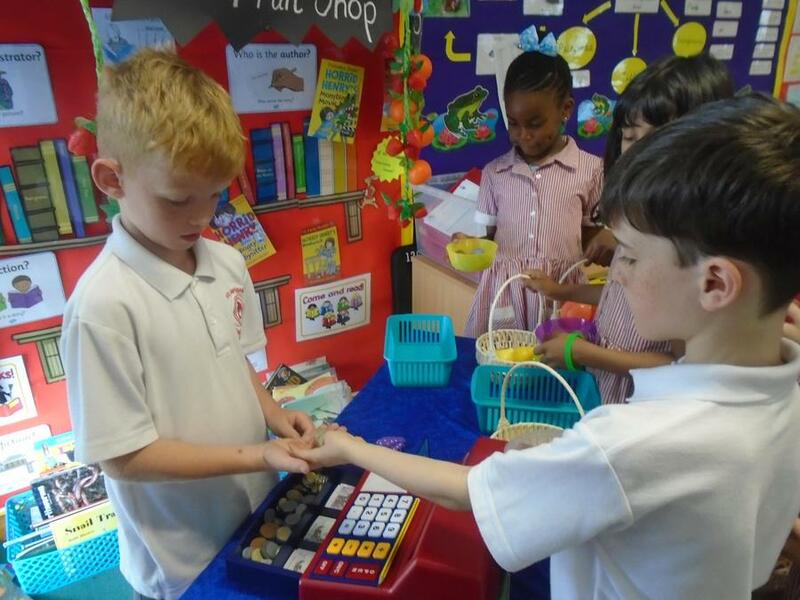 Each year group learnt about personal finance and money as well as enjoying cross-curricular tasks linked to a story. Well done to all the children that had a go at the playground problems too. By the end of the week, each year group had shared the making of maths hats with another year group. Thank you to all those who made this week’s maths activities such fun.